Trying to play golf better and shoot lower scores is often approached by improving swing mechanics when in reality it’s about tactics and simple golf tips to actually PLAY better golf. Like an art form golf is not just about golf lessons and instruction and trying to find the best golf swing. it’s about knowing what shots to hit and when to hit them. If you want to break 80 or 90, following simple golf swing principles and learning how to score is what will get your average scores down and increase your enjoyment of the game. Should you attack flags or play safe? When should you? In this video we play a par 3 hole where the flag is protected by a bunker. The shot I want to hit is a soft fade with a 9 iron carrying 160 yards. If I were aiming straight at the flag and in this instance it were to fade, I would end up in the bunker on the right. So what you should do if you want to consistently break 80 is to aim at the center of the green, with a fade and allo it to come back to flag. If you over do it, you are still safe. Perfect result. Attacking golf but sensible at the same time. 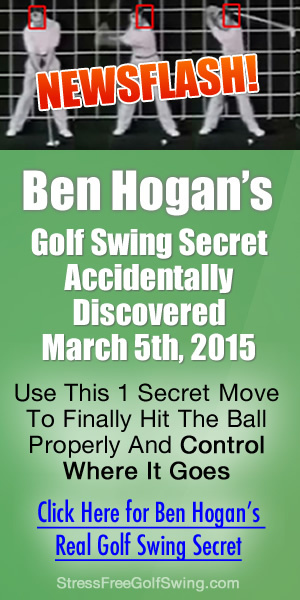 Put this into you golf game and let us know how you get on! Weekly "Golf Fitness" Workout Series: add rotation for longer drives and a better golf game. Where can I get the golf ball wrangler?